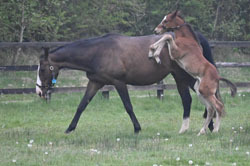 Nisriyna is the first foal of the Alhaarth mare Narmina who is a half sister to the Group 3 winner and multiple black type producer Narwala. Nisriyna is unraced due to a training accident. She is a half sister to the Group 3 winning and Goup 1 placed Dubawi mare Narniyn who has a colt foal by Invincible Spirit in 2016. 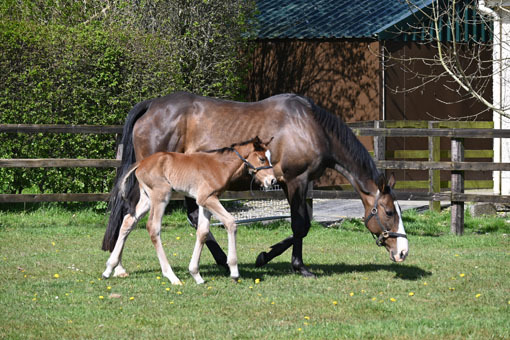 Nisryina has made a great start to her broodmare career with her first foal, the 93 rated Spring Loaded (Zebedee) who is now a six time winner over sprint distances. Her second foal, the very promising Dinozzo (Lilbourne Lad) made a winning debut at two for Ger Lyons and is now trained in Hong Kong. 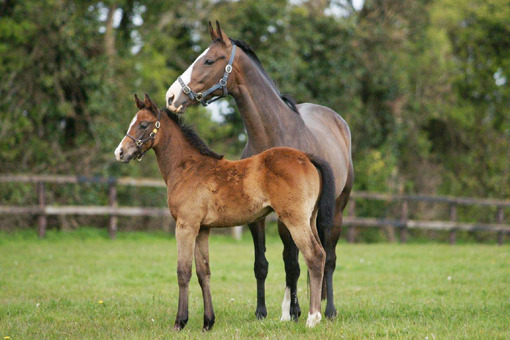 Nisriyna has a filly foal by Holy Roman Emperor and is in foal to Kodiac in 2016.